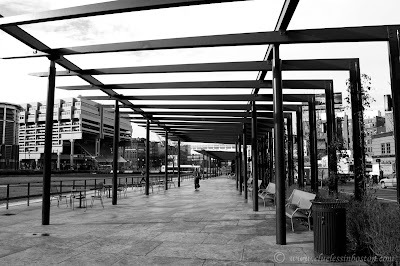 The Rose Kennedy Greenway used to be part of the elevated expressway that cut through the heart of Boston. It has been removed and is now an open space making it easier to get to the North End and the waterfront. This swath of land is named after the matriarch of the Kennedy family, Rose Kennedy.